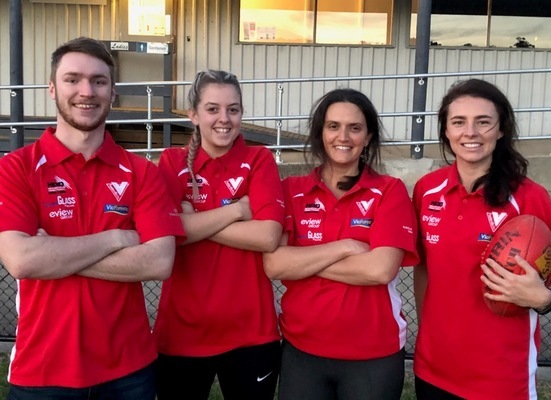 Charlie Warren, Tayla Pinkster, Josette O''Donnell and Ali Bryan are looking for women keen to join the ranks of ''Bloods'' football. Healesville Football Netball Club is latest AFL Yarra Ranges club to back senior women’s football. The club is holding its first Come and Try Day for women between 18 and 40 at their Don Road grounds on Sunday, 19 August. It heralds an introduction to women’s football for the club which this year celebrates 130 years in the game. Club president Greg Hay said the time was right. “The time has come to get this set up,” he said. “We know that women have been playing in other areas for years but now’s the time to come back and play for the hometown,” he said. Greg said the club plans to bring all its efforts to support the women’s team, with its history in supporting football development in the community. “It’s been great seeing the incredible rise in girls’ football. We are seeing young girls now who could be drafted to AFLW and we’re keen to make sure that the first time they play at seniors level it is in Healesville,” he said. Senior netballer, Ali Bryan, says the opportunity for women to play has been a long time coming. “Girls’ football was something that I always looked forward to each year at high school, and going up to play in Darwin just made me love it even more,” she said. “It’s been a long time coming and is an exciting opportunity for girls to be able to play for their home town instead of travelling down the line to find a team. “The whole club is really getting around the idea and are excited to have a women’s team joining their ranks. I’m really looking forward to getting the team up and running and creating a positive and supportive outlet where women can have a bit of fun while getting some physical activity into their day”. Josette O’Donnell will be part of the team. The Badger Creek resident and mum of two boys said she can’t wait. “If you were like me, an ‘80s child, footy just wasn’t on the agenda,” she said. “I used to wrestle my brother and it was strongly discouraged. Now I think I should have been directed to football… I think I would have loved it as a kid. “I may be 38, but I think it’s not too late for me to give it a go. Women between 18 and 40 are encouraged to go along to the Come and Try Day. “You’ll have the chance to hear from local players what it’s like, to practise some footy skills such as handballing and marking, and get some tips on fitness for 2018 to be ready for the 2019 season,” Josette said. She said the plan was to hold more Come and Try Days at the end of this football season and start training over summer. 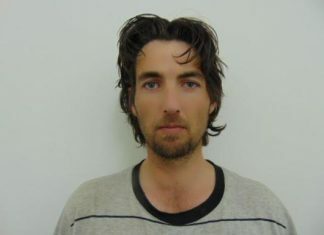 josettemaree@hotmail.com or phone Greg Hay on 0408 370 815.